I graduated with a PhD from the University of Plymouth, in UK and subsequently served as a researcher and academic staff for almost 17 years at the Mosul, Tikrit, and Kirkuk University, I have served as Head of the Pharmacological Department, Scientific assessment of Dean of the College of Nursing. During this period I spent my research sabbaticals in several Universities in Turkey. I teach Pharmacology, Food Toxicology, Molecular Biology at the University of Tikrit and Kirkuk and my research covers Pharmacology and Toxicology, Food Hygiene. I Supervise on Graduate Dissertations of Two doctorates and three masters in Baghdad, Sulymania and Kirkuk Universities and I discuss more than 15 dissertations in different colleges and Universities. 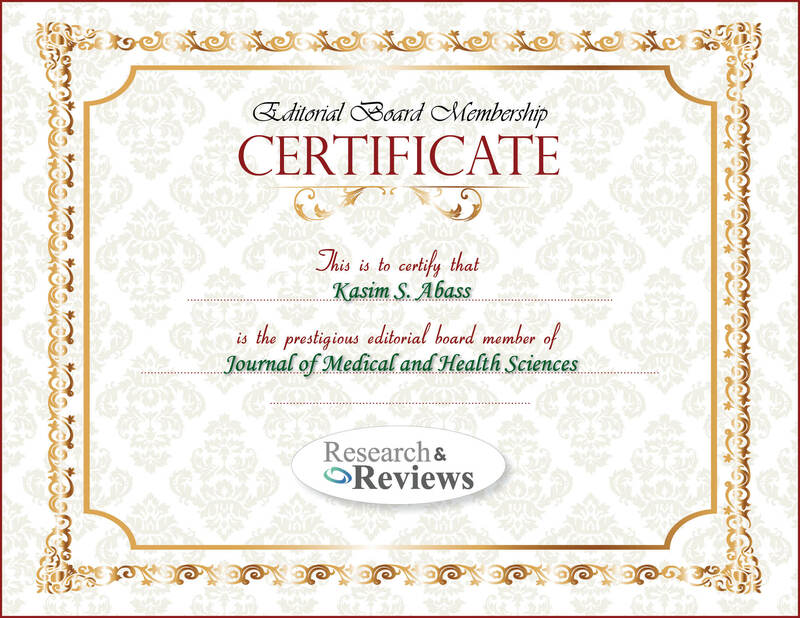 My published researches were more than 20 research papers, published in peer reviewed International Journals. I am attending more than 10 international Conference and I have more than 4 training courses in the UK Institute and Universities.